And so it began..in a small back room filled with the heat of the day, three men and their hot tube amplifiers. 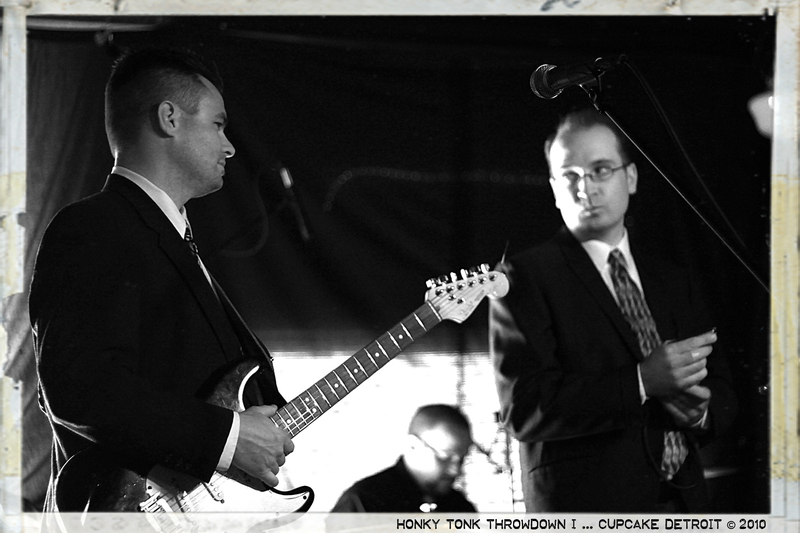 Bull Halsey creates a ‘romp and stomp’ jump blues that comes naturally. A blues that seems to percolate to the surface whenever the amplifiers are switched off standby. It’s been hot, dry work from the very start, but it is well worth the effort. With a reverent bow to the past of Chicago’s electric blues scene, a heaping of the city grime of Detroit, and a pinch of Midwestern prairie dust mixed in, you have all the ingredients you need to whip yourself up a nice batch of ‘Halsey’. Who’s got soul?…Bull Halsey’s got soul to spare.’ Bull Halsey dresses sharp. Bull Halsey plays the blues. Every night and every day is a special occasion when your with the admiral. Formed in 2001 by Wally Schmid and Dave Oesterle as the need to play live had bitten each again. They sought out Garth Girard to complete the band’s line-up. They had already been in more than one garage-rock band together over the previous fifteen years, so the idea of screaming amps turned to eleven had lost its’ cachet. Control and dynamics were to be at the core of Bull Halsey. They wanted to follow the path cut by greats like Muddy Waters, Ray Charles, Elvis, Howling Wolf, and Hollywood Fats. Like them, their songs would be built upon traditional blues, jazz, country and swing forms without being trapped by any one of them. Bull Halsey recorded their first self-produced EP at garth girard’s Backroom Studios. The Mighty Fists of Joe Frazier, was a documentary of song writing collaboration and musical improvisational skills. One band, one room (sometimes one mic) – roll tape. These were then crafted into a limited edition, hand-made production of Bull Halsey’s The Mighty Fists of Joe Frazier. The Mighty Fists of Joe Frazier album generated a little air play on the syndicated blues show Thayrone’s Bone Conduction Music Show (107.1 WKQL FM) and local favorite beamed across the Detroit River from downtown Windsor Velvet Vernon’s – Motown Hoe Down (CJAM). Here at last. Some cool cool water for that hot dry work. 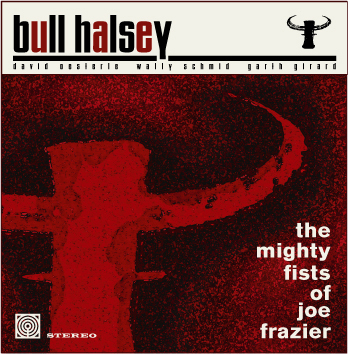 With the release of Hot Dry Work in June of 2009 Bull Halsey has taken another big swing at the blues plate. Serving up a little ‘Here and Now’ Bull Halsey style. Entering Tempermill studio, Bull Halsey was determined to reproduce what their live show had become after 6 years of playing, listening, and arguing. An old 50’s Valco amplifier was used for the vocals, and a forest of room mics were set to capture the manic, live feel that they were looking for; a dangerous glorious mess. Time well spent capturing the ‘Here and Now’. That’s Hot Dry Work. 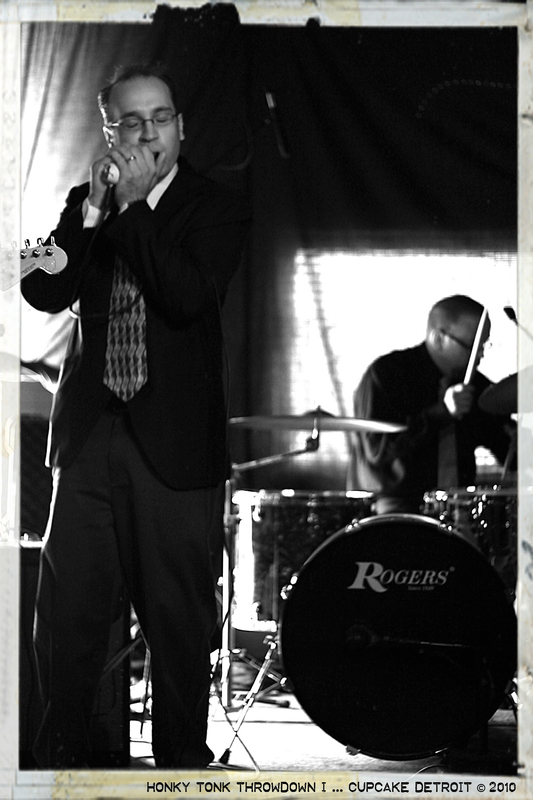 The next addition to Bull Halsey’s bag-o-tricks would be Mr. Danny Pratt – blues harp will travel. Danny a long time friend and former founder of Young Wally and the Tall Boys as well as other numerous blues projects. With Danny in the mix, Bull Halsey’s ‘Little Walter’ influences could be more easily heard. They just shine up a bit more. Danny would help kick off the record release show of Hot Dry Work at the Corner Brewery on June 13th and joined Bull Halsey throughout the summer. Adding a harp to the live show was another phase that we could not just – let go. It worked; really well. It helped to reproduce the music that was on the new record, and it adds one more dimension to the band. With the arrival of 2013 Bull Halsey would face more changes again. Wally Schmid would officially retire from performing. A long time friend and collaborator, Ben Vermeylen would join the group. ‘Benny James’ has been steeped in experience with Whitey Morgan and the 78’s, South Normal, 3 Speed, and Brothers Grimm. Bull Halsey continues to play locally (check out the Shows page) and around the Midwest in addition to constantly recording new original material for their next full length release tentatively titled The Magnificent Bull Halsey, scheduled for a 2013 release. Keep a look out over your shoulder, this blues thing just may mow you down.